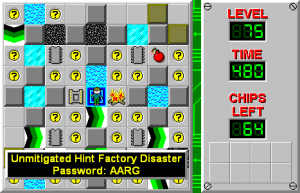 Unmitigated Hint Factory Disaster - The Chip's Challenge Wiki - The Chip's Challenge Database that anyone can edit! Don't push blocks onto hints! 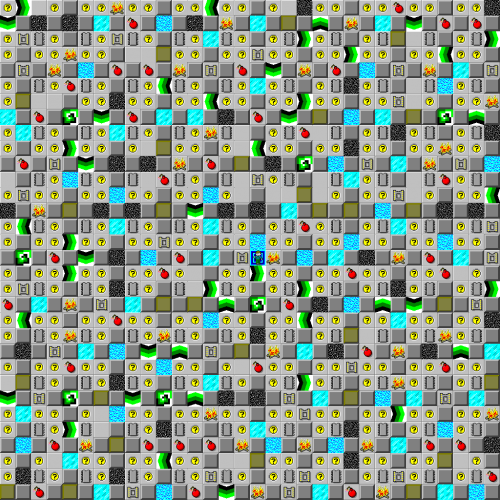 Unmitigated Hint Factory Disaster is the 75th level of Chip's Challenge Level Pack 4. It was created by Jeffrey Bardon.